What do yacht licenses and certificates require? Let's understand!! Why do you need yachting licenses and certificates? Needless to say that during a trip on a yacht to be just an ordinary passenger and captain, the skipper - two big differences? Let's start with the fact that to sail on the yacht is interesting and extremely exciting. In some cases, even causes dependence :). It is also important that you can decide: when, where and how much to take a yacht on a charter, you can make a route yourself, choosing the most interesting places. ачем нужны яхтенные права ? Стоит ли говорить о том, что во время путешествия на яхте быть просто рядовым пассажиром и капитаном, шкипером – две большие разницы? Начнем с того, что самому управлять яхтой - интересно и чрезвычайно увлекательно. В некоторых случаях, даже вызывает зависимость :). Немаловажно и то, что вы сами сможете решать: когда, где и насколько брать яхту в чартер, сами сможете составлять маршрут, выбирая самые интересные места. from Odessa, Dnepropetrovsk, Nikolaev or any other city in the world. 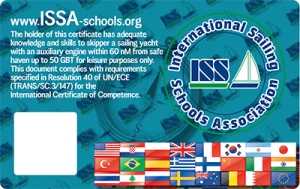 Get the licenses and certificates of international associations ISSA or RYA! Yachting is undoubtedly a status hobby that increases your authority in the eyes of others, you want to talk about it. Being a captain is great! On the one hand, it is the responsibility for one's team, and on the other - it is a great opportunity to realize yourself, develop leadership qualities and become a real super-hero for everyone! The advantages are to learn how to operate a yacht independently and get the rights to a yacht - a lot, as well as yachting schools. It is very important not to get lost and make the right choice. We offer quality yachting training that will give you all the necessary knowledge and skills in order to gain the rights to operate the yacht or as they are often called Skipper rights and, having become a real captain, independently go on a charter. Choose the most convenient way for you to study: a theoretical course in our Kiev office or a online yachting course! We are moving in the same rhythm with the development of technology and are ready to offer you the most advanced solutions. To study with BB Yachting is comfortable and exciting. Chief instructor Bogdan Brodowsks - skipper, experience of 30 years of sailing and teaching, certified instructor-examiner. The author of two textbooks, the book "Skipper. Yachtsman's Handbook. We have been successfully working in Ukraine since 2008. During this time, more than 3,000 graduates of our school received the certificates to operate the yacht and successfully travel in all the water areas of the world. 10 theoretical lessons + 1 week practice on a yacht in any water area of the world. Theoretical lessons are presented in a very accessible form at convenient time, perhaps full-time and on-line training. We teach not only to operate the yacht, but to plan the trip route is as safe, informative and interesting as possible. We approach the process of learning with the soul and will teach you to be friends with the element. Let's talk and show how to get yacht certificate or skipper licence! 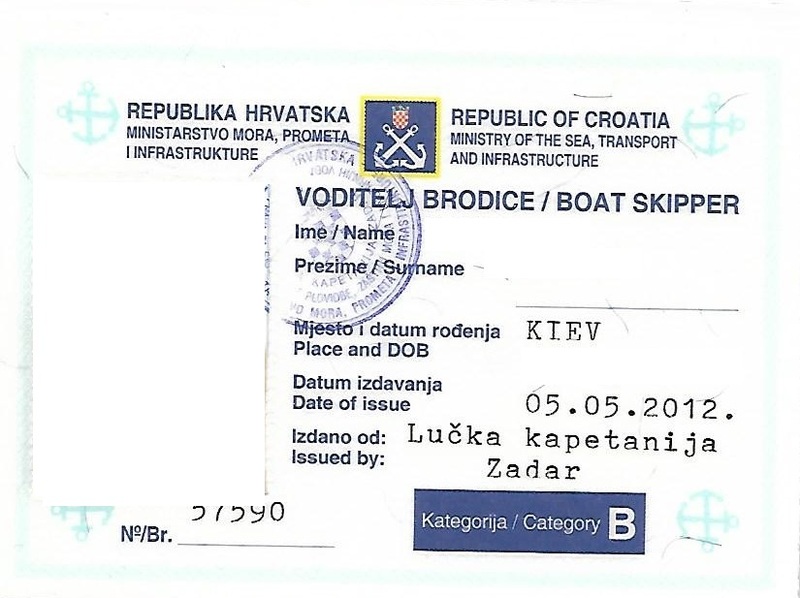 Yacht certificates and licenses that you get after yachting school of Bogdan Brodowski.. The owner of the rights of this type should have all the skills to manage the court within the coastal waters of maneuvering, the safe operation of the yacht. 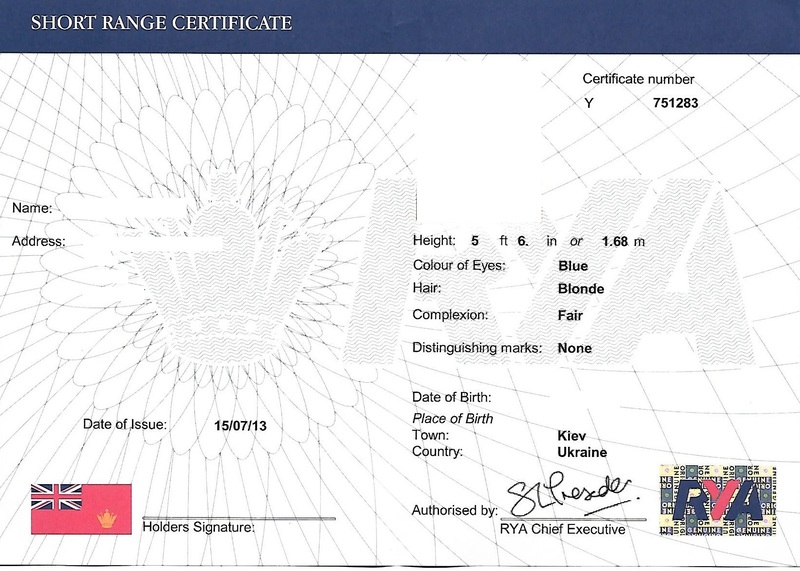 To obtain such a certificate you do not need any other documents only practice with our trainers and exam. The certificate gives the right to control by a court in the ocean waters as well as waters. Its owner must have a serious amount of knowledge and skills in the service of the yacht, navigation, crew organization and planning voyages. 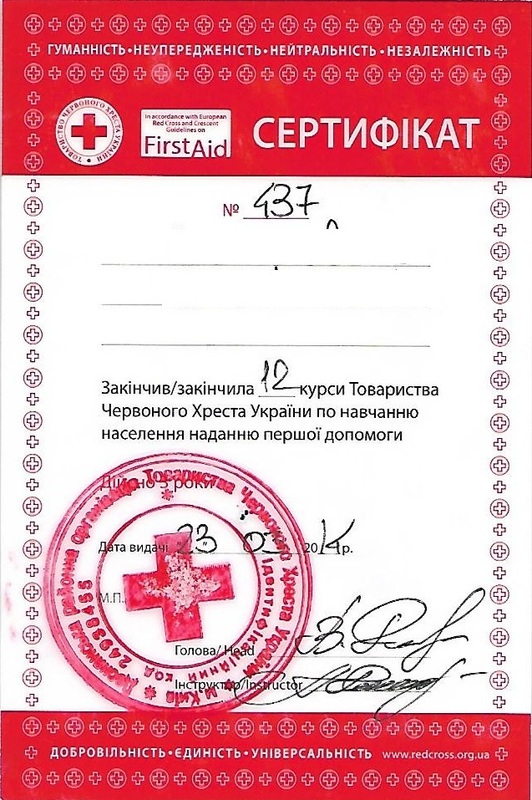 Radio operator certificate, which you get after passing our course of radio communication. 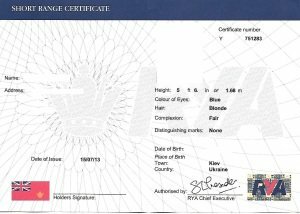 Certificate SRC- VHF DSC is as important documents like license skipper! Training is conducted in conjunction with RYA accredited school. There can be previously conducted on-line training and passing the test. RYA Yachtmaster ™ Coastal - training for yachtsmen who have considerable knowledge in the field of sailing and navigation, wishing to make coastal crossings day and night. Every year in spring we organize a unique training cruise to the North Sea. 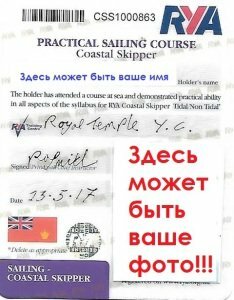 Such journey is a great opportunity to get an official British certificate RYA, which is highly valued all over the world, and also to get an invaluable experience of yachting in real marine conditions, to feel like a real sailor! As a result, you get the skipper RYA Coastal Skipper Certificate with Offshore qualification! To be the captain is a big responsibility. An experienced yachtsman must be grounded on all occasions that may occur at sea, including provision of first aid to oneself or any other member of the crew. For those who claim to be the level of Offshore Skipper, the presence of such a certificate is compulsory. 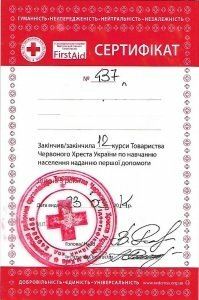 This certificate is available upon completion of the courses conducted by the Red Cross. The figures in the right you can get after undergoing the practice in Croatia. These rules apply in the European Union. 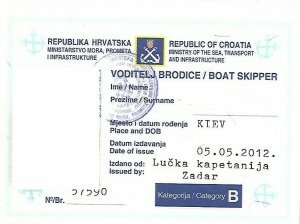 How to get the yacht certificate?